From the heart of world famous J-Bay, Des Sawyer presents the original Egg type shape from the 70’s combined with a touch of modern innovation and hi-tech construction. A collectors board suitable for a wide range of conditions and riders. Whether you are just starting out and need added stability or an advanced surfer looking to do some Stylin’ this is the perfect 4×4 all round fun board. 3 fin thruster with an optional Single fin box set up for alternative riding. Great rocker line for added speed and carry thru on flat sections of a wave. 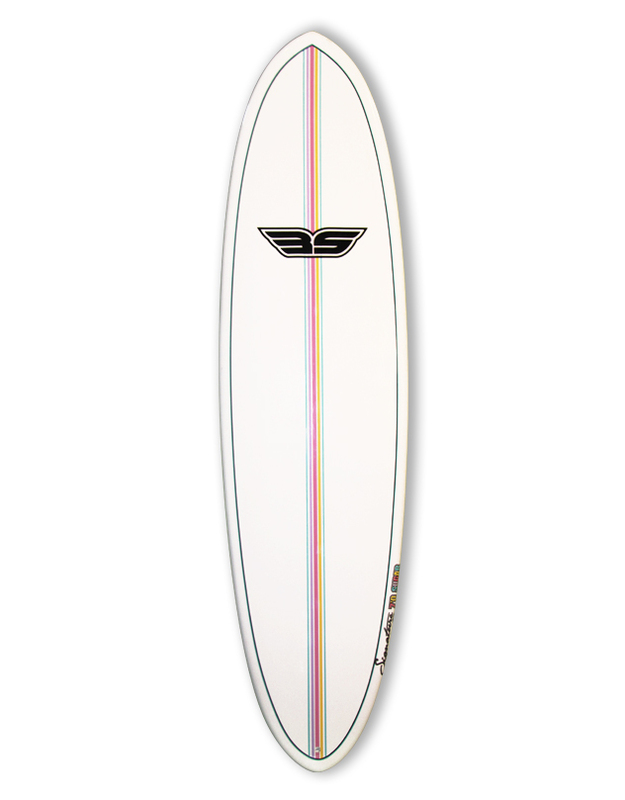 If you’re new to the sport, this board will be great as it has a slight nose kick to help prevent nose diving when taking off plus slightly wider tail for early wave entry. 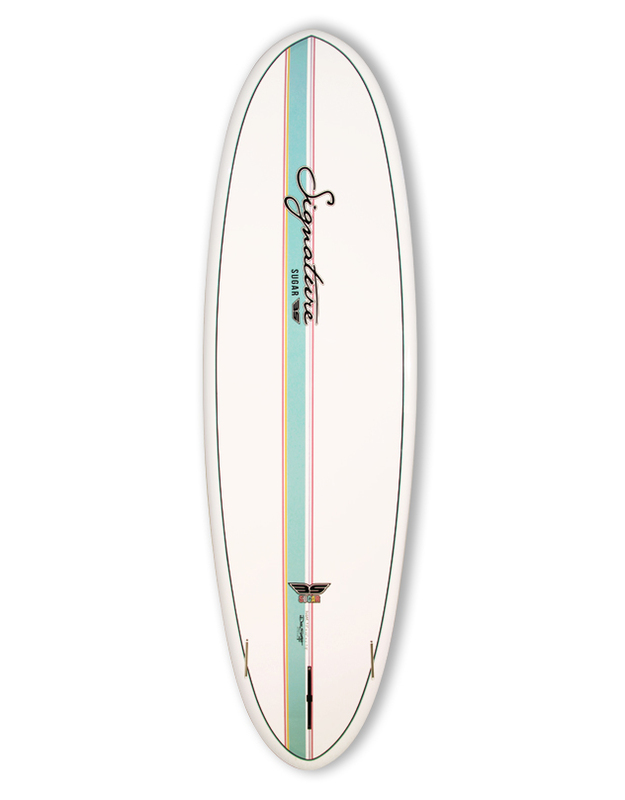 For advanced riders a great all round fun style board that will get you back to your surfing roots. SKU: SU-012. Category: SUGAR. Tag: DES SAWYER RANGE.